We are excited about the many opportunities to serve children and their parents. Your generous gift today will help us to respond quickly and effectively to the many opportunities before us. Together we will continue to make a great difference for thousands of children. Please respond when you receive our appeal in the mail or write us at: Saltworks Theatre Co., 569 N. Neville St., Pittsburgh, PA 15213. We accept online donations, using PayPal as a secure site. You don’t have to have a PayPal account; you can pay with a major credit card. Please remember Saltworks when you make your annual donation through United Way. Your contribution will help us touch the lives of over 70,000 children and youth through our school assemblies (educational dramas) and acting classes for young people. Designate code 4292 on your Contributor Choice Program and help us bring our theater of hope to as many young people as possible. Donations through the Combined Federal Campaign of Southwestern Pennsylvania can be made by selecting CFC Code 9334. Did you know that you can donate to Saltworks simply by shopping at Amazon.com? It’s true! Through the AmazonSmile program, Amazon will donate 0.5% of the purchase price of eligible products to Saltworks when you choose Saltworks as your charitable organization. In order to have your purchases eligible, you must shop at smile.amazon.com instead of the normal amazon.com. However, the shopping experience you will encounter on the AmazonSmile landing page will be identical to the regular Amazon.com site – same selection, same prices – with the exception that eligible products will be marked as such on product detail pages. You log into the smile.amazon.com website with your same login info as amazon.com. When you log onto smile.amazon.com, you will be prompted to select one from a handful of featured charitable organizations, or to search the database of 501(c)(3) organizations. Simply type in Saltworks in the search bar and choose Saltworks as your preferred charity. Then shop as usual. It’s that simple. GooglersGive is Google’s employee giving and volunteering programs. 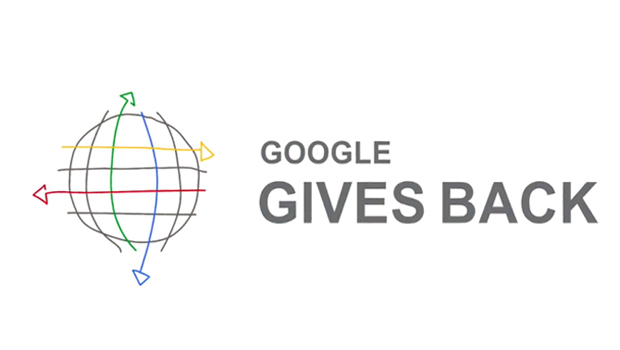 The mission of GooglersGive is to leverage the talent, skills, and resources of Googlers so that they have extraordinary impact on themselves and the world around them. If you are a Google employee, or know a Google employee, please tell them about an opportunity to help Saltworks through Google Gives. Our community of volunteers are an important part of Saltworks Theatre. We have opportunities to usher, house manage, assist costumes, manage concessions, help with mailings, and many other areas. To volunteer your services call 412-621-6150. Saltworks accepts a limited number of interns for our school and studio programming. Selection is based on the availability of a staff mentor within your area of interest and recommendations from your professors and teachers. For information send a letter stating your professional goals and a resume to: Intern Coordinator, Saltworks Theatre Co., 569 N. Neville St., Pittsburgh, PA 15213-2812. Attend a performance or schedule one of our school assemblies at your school or church. Saltworks Theatre Company was incorporated in 1981. We are a 501(c)3 organization, gifts to which are deductible as charitable contributions for federal income tax purposes. Saltworks is a professional arts organization which addresses the physical, emotional, and spiritual needs of children, youth, and families through the creation and performance of contemporary dramatic works. A copy of our official registration and financial information may be obtained from the PA Dept. of State by calling toll-free within PA, 1-800-732-0999. Registration does not imply endorsement.